The Orbiter Enterprise | Just Shooting Memories! This is an amazing airplane. Even though it is only designed to glide, how can it stay in the air. It took a lot of smart people to figure that out. I mean they are rocket scientists. Real rocket scientists. This is the entrance to the space exhibit at the Udvar-Hazy center. The view as you enter makes you feel like you are in the presence of something great. The shuttle Enterprise just sitting there staring you down. Nice shot Daryl. You’ve inspired me. Later this week I’m going to have to see what my Enterprise photo will look like. 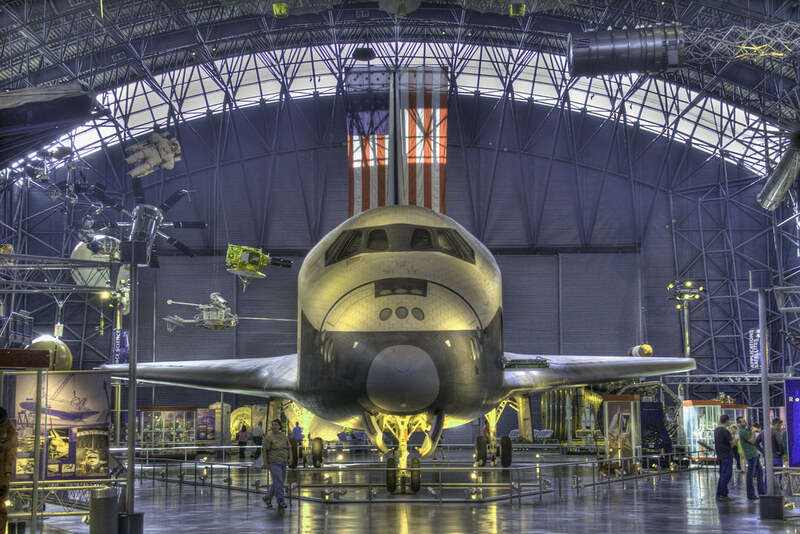 I’ve been too busy to process many shots from the Hazy Center, but will have to make time. Tim, it is my pleasure to return the favor. I have had such a great time finding the small things. I have noticed the photos you have been posting and I am impressed. I wish I had more time in Washington. There is so much to see. Okay. I just can’t post mine. Your shot of the shuttle is just so much better than mine! I was shooting my wide-angle zoom and the distortion doesn’t do it justice. I’ll just admire your great photo and concentrate on my other plane shots that came out a bit better. I am not so sure I would say “better”…just different. I would still love to see it.